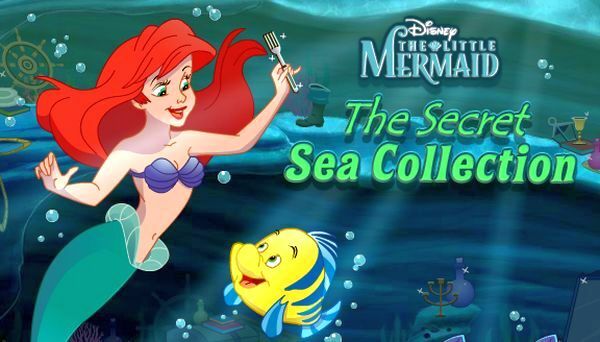 The little mermaid must dives down into the sea find objects and bring them to Scuttle before time runs out. 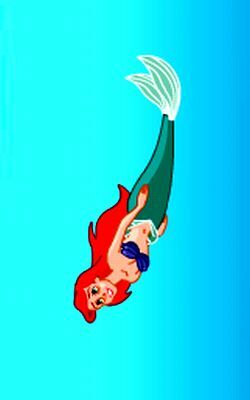 ARIEL: Scuttle, look what we found. 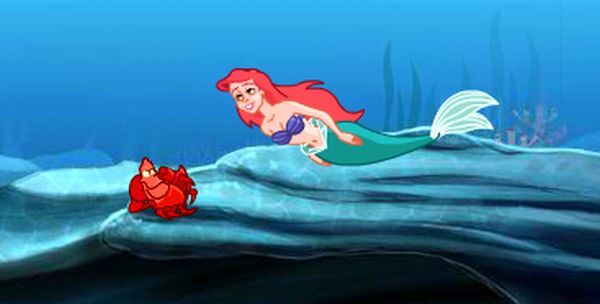 SCUTTLE: Human stuff, huh? Hey, let me see. Oh! Look at this. Wow. This is special. This is very, very unusual. 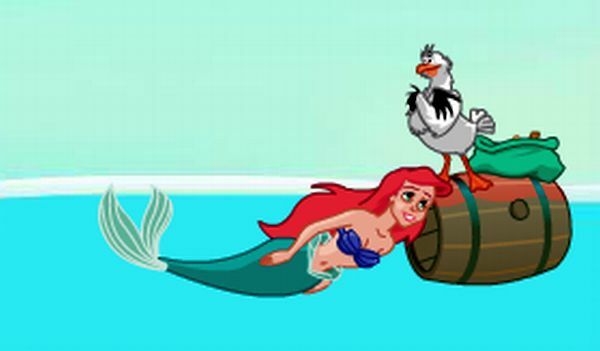 The seagull will fly the secret items. 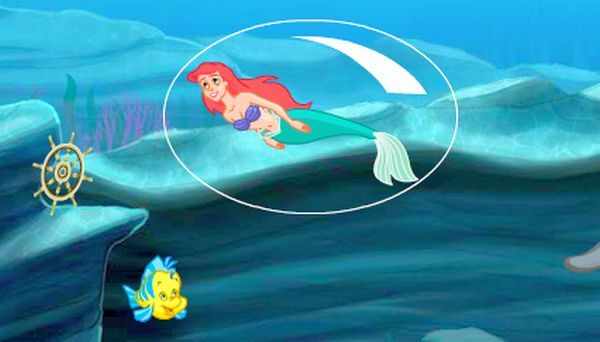 How to play Use the arrow keys to swim left, right, up and down. Gather a clock and you get a time bonus.